Our in-shop cleaning and machining methods are state-of-the-art, cost-effective and allow for quick turn around. Cast iron engine blocks, crankshafts and connecting rods are thermally cleaned and shot peened. Aluminum blocks and heads are chemically cleaned. All parts are washed in a hi-pressure jet wash prior to inspection and machining. Machine capabilities for precise and accurate tolerances to ensure top-quality performance, durability and longevity. Air flow improvements through internal combustion racing engines often lead to higher power and efficiency, a flow bench can help determine the best method for improving that air flow. We employ a flow bench to not only determining the final result of our work, but as a valuable tool during the porting process to determine the areas of a port that need improvement, and what areas should be left untouched. 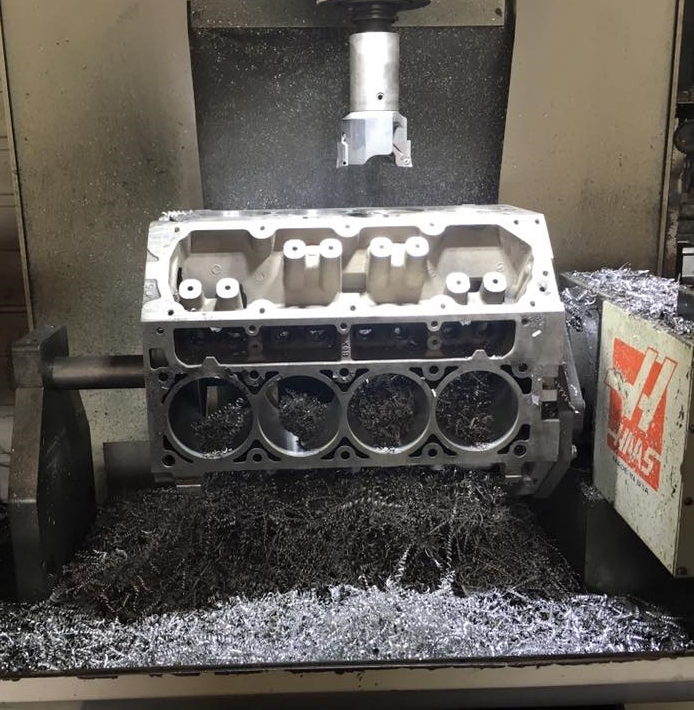 For maximum performance we may flow test a single port 200 times or more while determining the optimal shape and contours for that particular head casting and valve.